– Geoffrey Mutai talking about how he plans on proving that the wind-aided 2:03:02 he ran at the 2011 Boston Marathon wasn’t a fluke when he races the world’s best at the 2014 London Marathon. 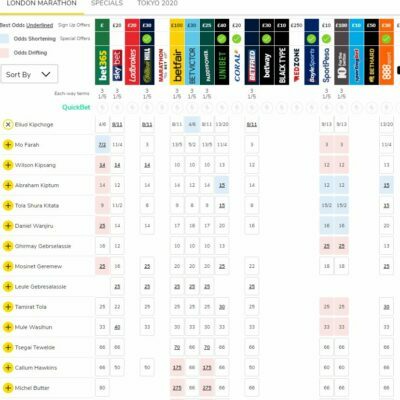 Farah's chances of winning London? Biggest Loser Controversy: Contestant Supposedly Lost too much weight?! Hypothetical: you have a HS senior 800/1600 guy who is Impervious to running-related injuries. What's his training plan? Just 5 days after setting the 1,500 WR, Dibaba ran at Stockholm's XL Galan to break the 8:23.72 record set by Meseret Defar in 2007. Including outdoor times, only 3 women have ever run faster: China's Wang Junxia, Qu Yunxia and Zhang Linli. Other big performances in the meet included Sweden's Abeba Aregawi running the second quickest indoor 1500 of all-time. She won by more than 10-seconds with 3:57.91 which would have broke the previous WR if Dibaba hadn't just ran 3:55. Mohammed Aman set the 800 World lead with 1:45.08 and Morocco’s Mohamed Moustaui got the win/WL in the 1500 in 3:35.0 over Ayanleh Souleiman with Silas Kiplagat and Nixon Chipseba way back. 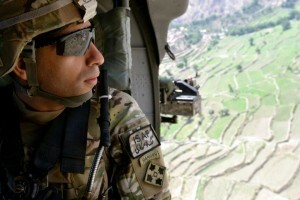 There were also several world leads in the jumps. 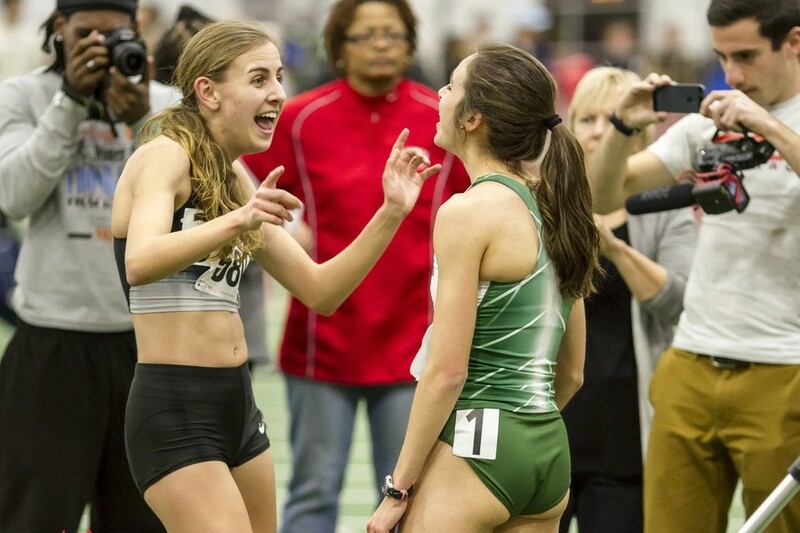 We're a little bit late getting this up this week, but it's worth recapping a week that saw possibly the greatest women's 1,500m ever run, one of the greatest high school 3,000m ever run, and some crazy-fast collegiate DMR action. 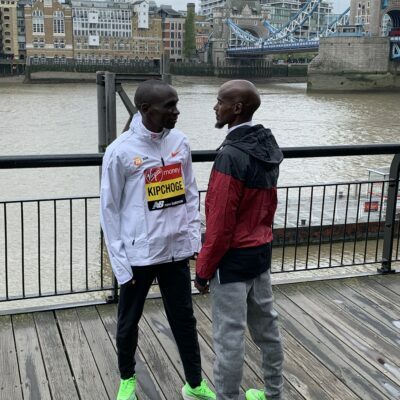 Two-Time World Marathon Champ Abel Kirui Talks About Bouncing Back From Injury At Tokyo This Month Kirui missed most of 2013 with a stress fracture but says his form is coming back around. Talking about Kenya’s poor performance at Worlds (their first runner was 9th), he actually said they should have spent more time in the AK training camps, advocating for 4 months there. 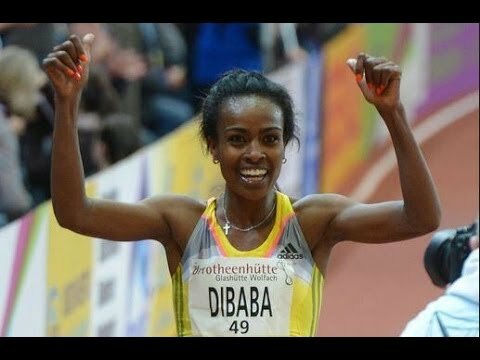 Spikes-Mag: “10 things we love about Genzebe Dibaba” They point out she’s raced older sister Tirunesh Dibaba 5 times and never beat her. IAAF Q&A With Jenn Suhr, Who’s In Such Good Shape It’s Throwing Off Her Vault Because She’s Not Used To The Extra Speed/Strength She’s training in Colorado Springs this winter to avoid the harsh NY weather as she gets ready for World Indoors. She also talks about France’s Renaud Lavillenie and says she thinks he can get the WR this season. Yelena Isinbayeva To Return To Training In 2015 To Go For Gold #3 In 2016 She hopes to have children before Rio 2016 as well and unofficial reports earlier in the week were she was pregnant already. Two-time World Cross-Country champion Craig Virgin has called for more transparency in the legal supplements/medications athletes may be taking. LRC spoke with Virgin on his comments and with Galen Rupp’s agent Ricky Simms about Virgin’s comments and the calls for more transparency. 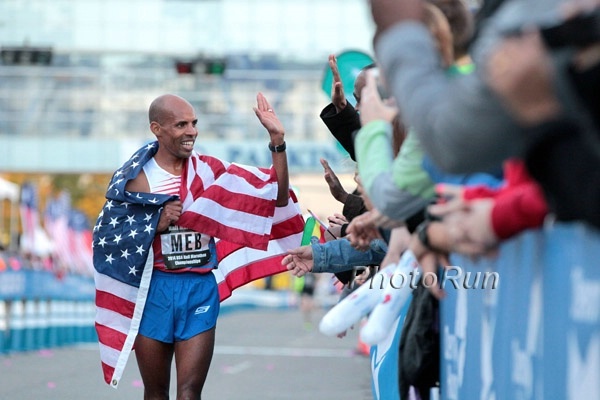 Plus, Simms tells LRC Mo Farah has never been on thyroid medication. Lost Cause: Kenyan Anti-Doping Task Force Appointed To Investigate Kenyan Doping Is Out Of Money And Won’t Finish It’s Report Apparently the government is refusing to give them any more money and according to this article they’re asking for $207,000. Amos Mitei Wins Nike Discovery Half Marathon In 62:49 Peris Chepchirchir won the women’s 10k in 31:53. Apparently one of the Mutais did poorly in the men’s race, finishing in 14th place (64:43), but based on the phrasing it’s unclear if it’s Geoffrey or Emmanuel. 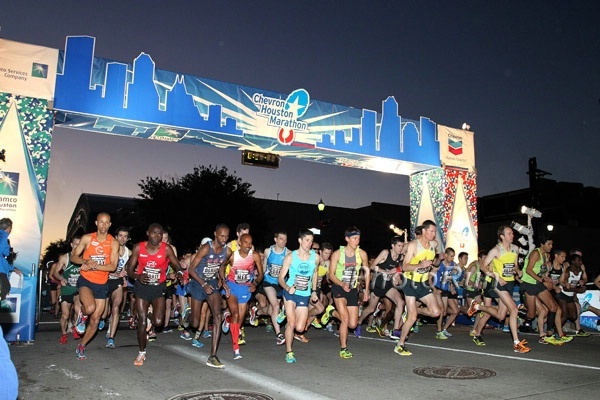 Good Blog Post: US Olympian Janet Bawcom Blogs About “Accidentally Racing” The Discovery Kenya 10k She did it as a hard workout and finished 11th in 34:27. Salty Running: What Would Your Favorite US Track Stars Be Doing If They Were In The Winter Olympics? See some funny photos of Kara Goucher curling, Shalane Flanagan on hockey skates and Mary Cain and Galen Rupp figure skating. List Of Top Former Track Stars That Are In Sochi For Men’s Bobsled Among the top sprinters are GB athletes Craig Pickering (10.14) and Joel Fearon (10.10). LA, according to Torres, is offering $100,000 less in prize money for the Trials than Houston. 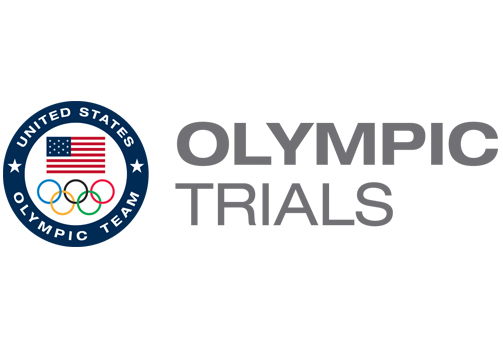 If LA is such a great place to offer the Trials, shouldn't that mean more publicity, more sponsorship, and more $ for the athletes. What about the athletes? 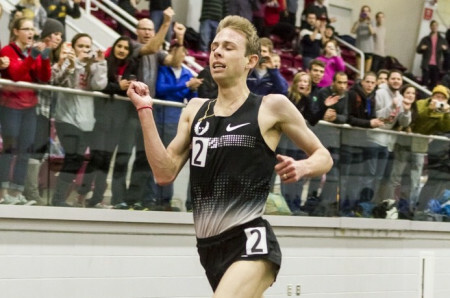 Down The Backstretch Profile On Ben Blankenship, Who’s Focused On Making The US World Indoor Team In The 3k Blankenship says it’s his “favorite event” even if he’s been mostly a miler in the past. 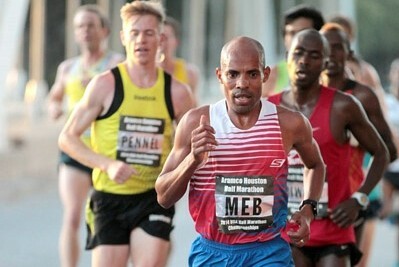 He’ll run the 3k at this weekend’s New Balance Indoor Grand Prix. 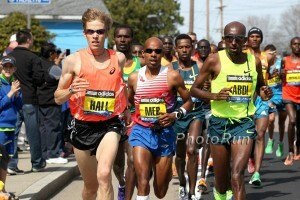 Ryan Vail Putting In 150-Mile Weeks Training To Go Sub-2:10 In The London Marathon The 2:11:45 man will tune up with the Gasparilla Half Marathon on Feb. 23 in Florida. Police Ready For Oscar Pistorius Trial, Which Starts March 2nd And Is Expected To Run Through The 20th If you live in South Africa, there will be a special TV channel with 24-hour coverage of the trial. South African Athletes Relieved That Suspension Of Athletics SA Has Been Lifted Otherwise they wouldn’t have been able to compete in the Commonwealth Games. IOC Debates Changes To Olympic Bidding Process A big topic of discussion is having a country bid, rather than a city, so that the Olympics could be spread out in different venues throughout a country. While this could reduce costs, many argue that it will kill the Olympics as a unified event. Hampden Park In Glasgow Will Host London Leg Of Diamond League As Olympic Stadium Is Under Construction This is good preparation for the facility as it gets ready to host the 2014 Commonwealth Games. 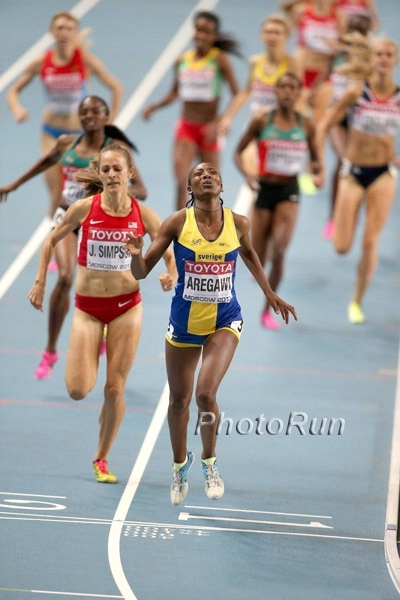 Sweden's Aregawi wanted to break the WR before the home crowd but that task got a lot tougher after Genzebe Dibaba lowered the WR by 3 seconds to 3:55.17 this past weekend. The men's 1,500m features the top 5 in the world in 2013, including Silas Kiplagat and Ayanleh Souleiman. Mo Aman in the 800 and more. 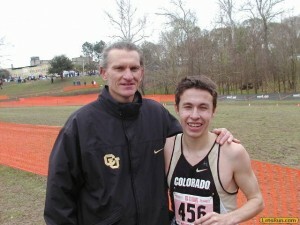 The UBC runner has turned heads with a 7:54.57 3,000 and 3:57.71 mile last weekend. 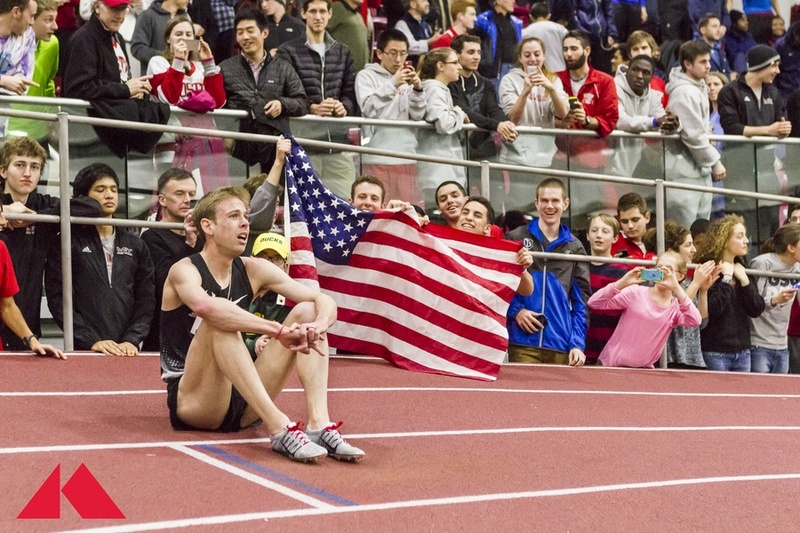 The action in Boston features the 4 x 800 American record attempt and Galen Rupp in the mile run. 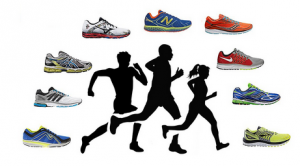 Full NB BIG Coverage here. Previews coming this week. Meet live on NBCSports Network. Outdoor track is here in Jamaica. "We have persons in house who have limited training in the field of chemistry." - Oops. Asafa Powell made the same claim. Is the lack of TV coverage a sign of the decline of popularity of track in the UK? RR: Oregon’s Trevor Dunbar Shares Running Legacy With His Family Dunbar’s mother was an All-American at Oregon and his father, Marcus, an Alaskan state record holder and US indoor mile champ with a PR of 4:00.58 and last year Dunbar broke his father’s record by going 3:59.06 while wearing his old singlet. Defending Champion Suzy Walsham Of Singapore And Runner-Up Thorbjørn Ludvigsen Of Norway Return To New York For Empire State Building Run-Up The race is February 5th. 57-Year-Old Ran 500 Miles From Maine To The Super Bowl To Raise Money For Charity Gary Allen has a marathon PR of 2:39 and has raised almost $11 thousand for the Wounded Warrior Project. Alexa Efraimson’s Coach Said He Wasn’t Surprised By Her 9:00 3k Record He thinks she has a chance of breaking 4:30 in her race against Mary Cain and other pros at the Millrose Games. For reference, Cain recently set a mile PR of 4:24. Biomechanics Expert Debunks Treadmill-Running Myths: The 1% Incline “Rule” Isn’t Actually A Rule A study found that setting the treadmill at a 1% incline made it equivalent to regular running only at 7:09 pace or faster. Sherone Simpson’s Lawyer Defends Client By Attacking JADCO And Doping Control Officers Simpson’s lawyer tried to blame JADCO for not doing enough to protect and educate its athletes on banned substances. World 110H Champ David Oliver And Olympic 100H Champ Sally Pearson Headline Australian Meets Next Month They’ll both compete in the Marcy 15th Sydney Track Classic and March 22nd Melbourne World Challenge. Others competing include LaShawn Merritt and Mike Rodgers. Geb is going for the masters world record. 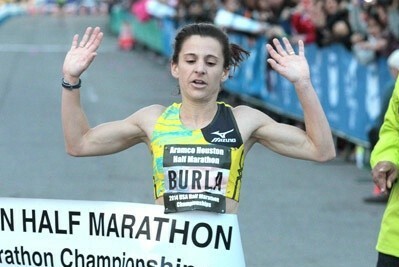 Lel has won 5 World Marathon Majors. The young 800 superstar missed most of 2013 with injury. 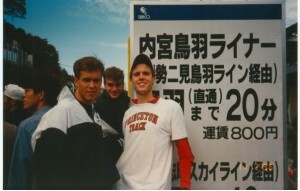 Lukas talks a little about Alan Webb moving to the triathlon and reveals he and Webb trained together last year. 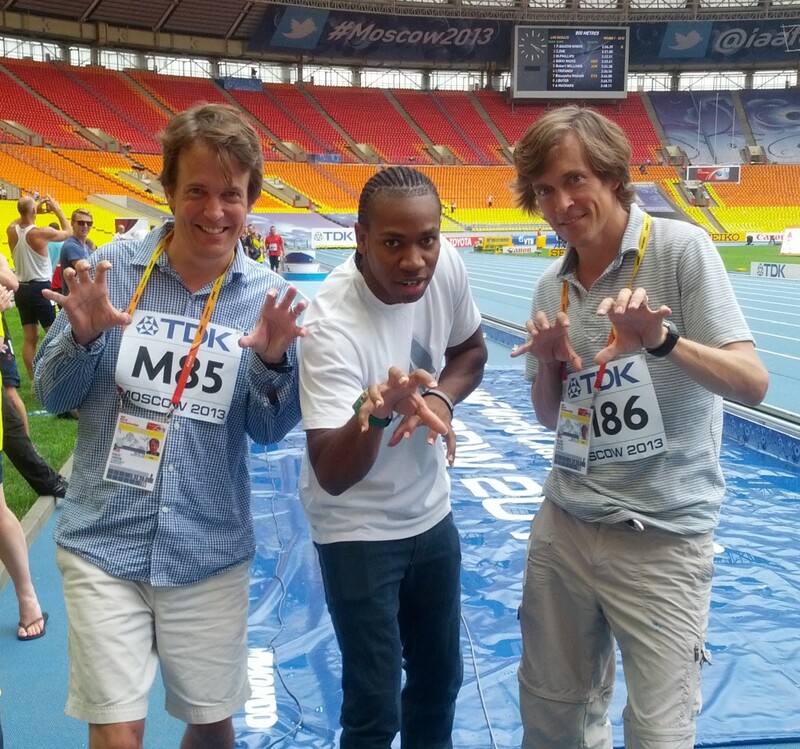 1984 Olympic 800-meter gold medalist Joaquim Cruz is one of Lukas' coaches. The world record would cement Kemboi's status as the best steeplechaser ever. The life of the party, Kemboi says he may DJ after he quits running. 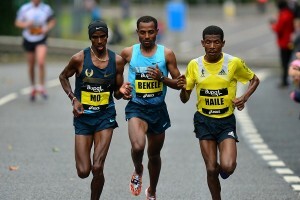 Biwott was only 8th last year, but that was after he broke open the race only to fade at the end. 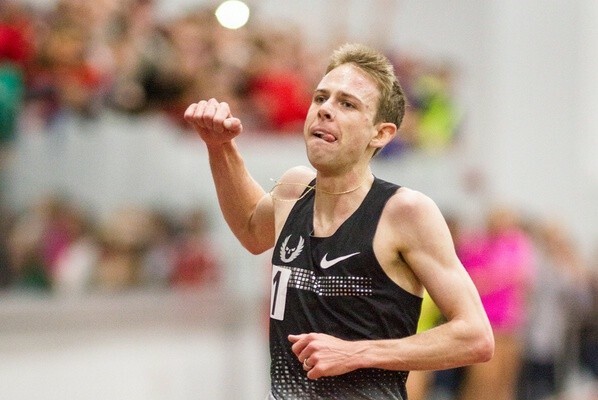 Great news for track and field fans as Galen Rupp is now racing on live national television for the first time this year this Saturday at the NBIGP. It is also now official that Rupp will not try to break the American or world indoor record in the mile February 15 at Boston University. 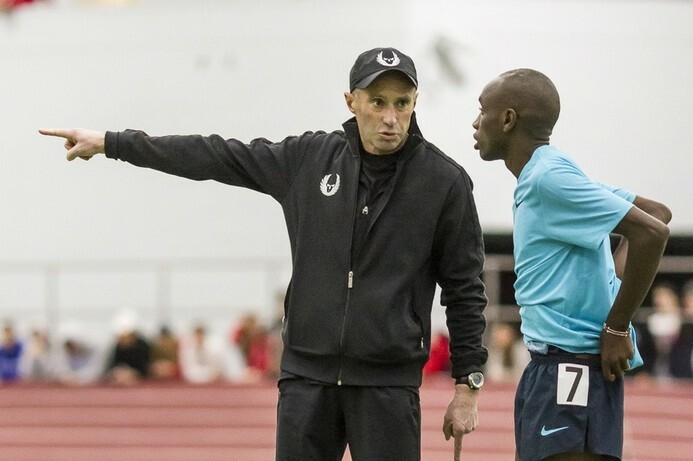 Alberto Salazar On Calling Off Mile Record Attempt: “I asked Galen what would he rather do, set an American record in the mile or medal in the world championships?” Salazar also said that if Rupp felt up to it after US Champs, he could always take a shot at the mile record then. IAAF Interesting Q&A With Bernard Lagat, Who Says His Favorite Workouts Are 300s And 6-Mile Tempos, But Dreads Mile Repeats Lagat also talks about his love for golf and says his favorite TV show is House Hunters International. Alysia Montano Is Pregnant Alysia talks about her new “training partner” (she’s pregnant) and her decision to part ways with Red Bull. 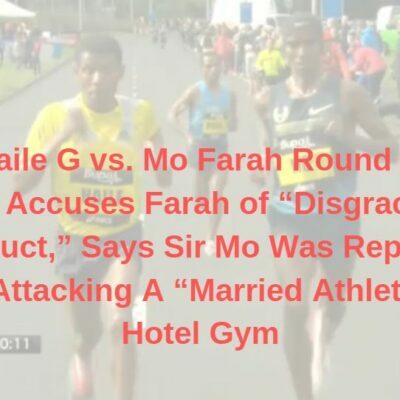 Farah Criticized For Cliff Jumping Off 100 Foot Cliff In The Caribbean Includes video of Farah’s jump, which the LRC experts say is probably actually under 40ft.